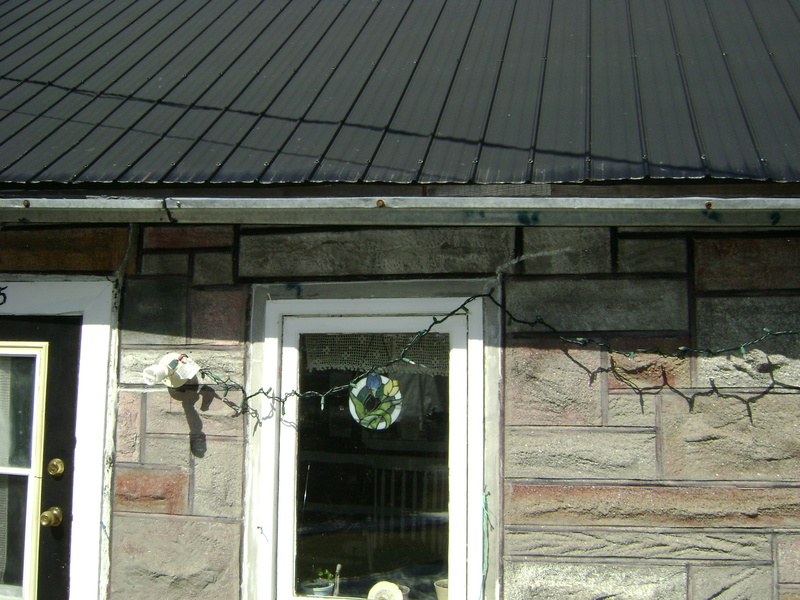 If anyone ever gets the urge to keep the rain from entering there basement , then here is a few suggestions on how to install eavestroughs. On most older eavestroughs they were usually attached with large spikes, and over time these will often come loose leaving you with sagging troughs. Today they have brackets that are screwed in to the face board of your house and hold much better over time. 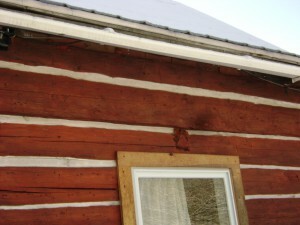 Your eavestroughs should drop about an inch in every twenty feet. If your house has a forty foot span then is advisable to start in center and slope both ways. This will require having two downspouts at each end. If you are going to put up plastic rain troughs then there is a sealant for them that is much like PVC sealing used for plumbing. Depending on the manufacture, some of the plastic troughs have rubber seals where they join together and at ends for downspout. Most of the plastic troughs come in ten foot lengths, and very easy to cut and work with. 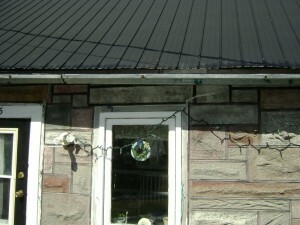 The metal rain gutters also have a special sealant that looks a lot like silicone you buy in the tubes, but is designed for metal outdoors. When using it apply a good thickness on the joints and feather it out so it is even with bottom of trough. Sometimes you may wont to go over the joint another time after first coat has dried. The brackets that hold up the troughs are spaced about two feet apart. Also you should keep the trough just below the level of roof edge, because in winter ice could do some damage to them if put to high. 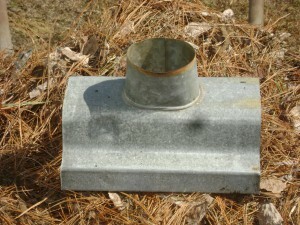 For the downspout drop on metal troughs just lay it on the gutter and mark the hole to cut out. A multipurpose saw or tinsnips works well for this. If you use aluminum rivets to attach on the drop spout then in the future there should be no rust. For the downspout make sure each piece fits inside the next, and these can be riveted or sheet metal screws used. Also be sure to attach the down pipe fasteners into something solid, and galvanized screws used for this. Just yesterday I had to reattach a down pipe that had come off a brick house, simply because someone had neglected to put any anchors where the fasteners attached. If your using the plastic downspout, then the elbows can be glued or a few screws to hold them together. Adding a short piece of down pipe or flexible hose at the bottom will keep water away from your home. In the fall after the leaves are off the trees its a good time to clean the troughs. If using a ladder always be careful as they have a tendency to slide on metal or plastic gutters. A pair of rubber gloves, trowel, or scoop works well for the cleaning, and then flush remaining dirt with a garden hose. There are covers made for eavestroughs that will keep the leaves and branches out, and work very well for this purpose. They do however let smaller pieces of dirt in that can build up over time and make cleaning more difficult. So is something to do a little research into if your thinking of covers for the gutters. Author Wayne GPosted on 30/03/2016 17/04/2019 Categories home improvementTags eavestroughs, How, install, to2 Comments on How to Install Eavestroughs.